We play ALOT of games around here. It's a great way to keep the kids off their tablets, especially in the winter when going outside isn't as much of an option. It's also a great way to spend family time together. We got this game for Avery for Christmas and I can't even begin to explain what a hit it has been! There are 4 shapes and each person picks one. You put all the ducks on the "pond" and turn it on. Each player picks one up and looks underneath at the shape, if it's yours, you keep if not you put it back. First one to get all 3 of their shape wins! (Avery is ALWAYS blue star and when she gets one while playing she holds it up while screaming "BLUE STAR!!" It.is.hilarious. Brayden got this for his 5th birthday and we have played it soooo many times. 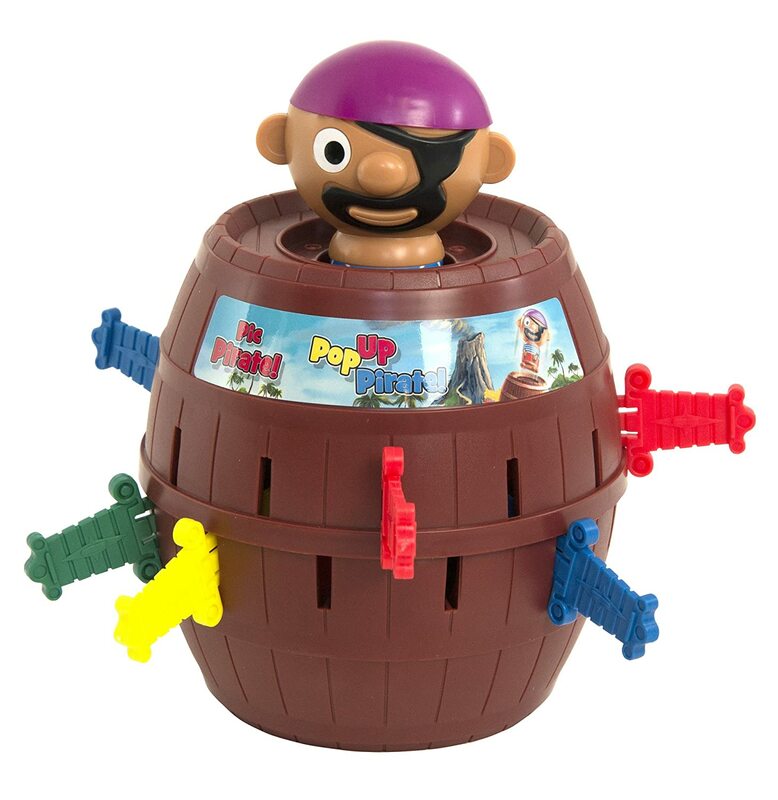 It's for 2-4 players and each player picks a color sword (there are 6 of each) then takes turns placing them inside the barrel while the pirate waits inside ready to pop at any moment. This was another Christmas present we got Brayden. We have played it a couple of times and it's really fun. All the players actually work together to make a path to the finish line before the ogre gets there first. We played with Avery once and she is still too small to understand but we just tell her where to put the cards and it works. I think we got this game as a birthday present as well, I can't remember exactly, but it is so fun!! There is a spinner which tells you if you can either grab an acorn to add to your tree trunk, lose your turn, steal a color acorn you need from another player or lose all your acorns to a wind storm. Oh my gosh do we have fun with this game!! 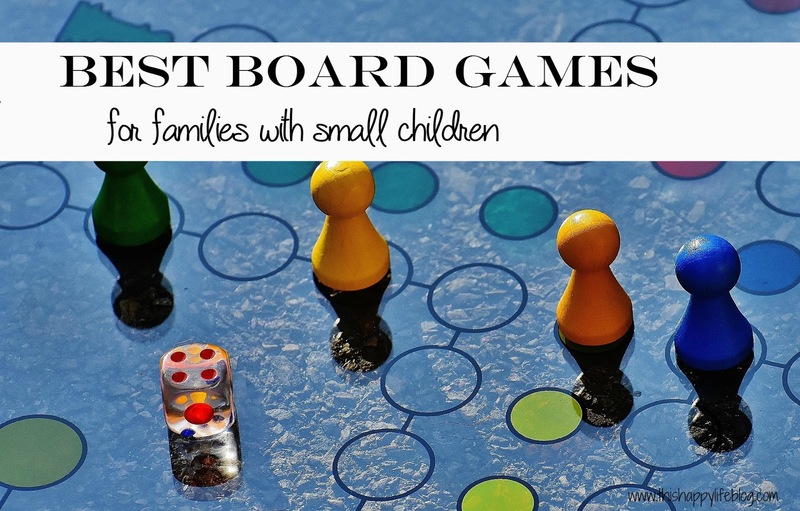 It's clearly not a board game but it's so fun that it's worth mentioning. Even Avery has a blast playing this game! I also have my eye on this game to give Avery for Easter, it looks super cute! Do you have any of these games? Or any other recommendations for my aged kids? I'd love to hear! What a wonderful idea for a post! When the boys were smaller we played games all the time! Now that they're older we occasionally do but it's more things like yatzee and Monopoly. That ducks game looks so cute. I love games, I play any of these now! Have a great Tuesday darling! I know one day I'll miss playing these games with them! These are great suggestions! I am pinning this right now! :) I've been looking for some fun games to play with our 2 1/2 year old, and I think some of these would be perfect! We really need to invest in more board games. For a while Mason didn’t have the attention span for a game (ADHD), but he’s getting so much better! He enjoys games now. Thank you for sharing these. That Pirate one looks like a blast! Pie Face is always a good time and so hilarious to kids. Out of all of you picks the only one we have played is Zingo. We LOVE Zingo. Lately my girls have been playing Trouble, Sorry, Monopoly Jr. and Checkers! That pirate game looks amazing. Sneaky Snacky Squirrel and Zingo are HUGE hits in our house! 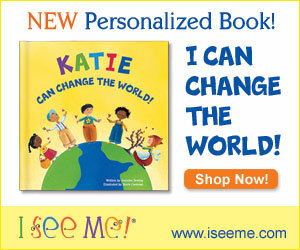 Definitely adding some of these to my wishlist for Sadie! She really likes this Frozen Candyland game we have - you switch out some of the board pieces so the paths change! Ha! I cannot wait to snag some of these for Miss A! I thought for sure that Connor would love Pie In Your Face but he refuses to play it with my nieces and nephew. All these sounds so neat! I love Connect 4 and Candyland. I think my favorites as a kid (and still now) are Monopoly, Trouble and Sorry. Love this. I need the first two for my girls. 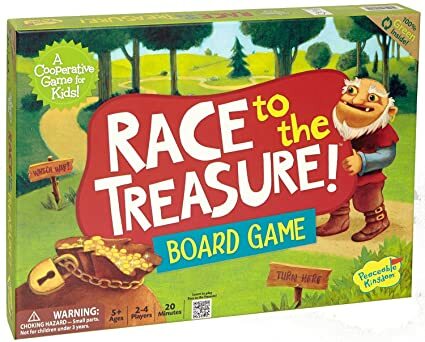 We haven't played games like this yet and I think they would love it! 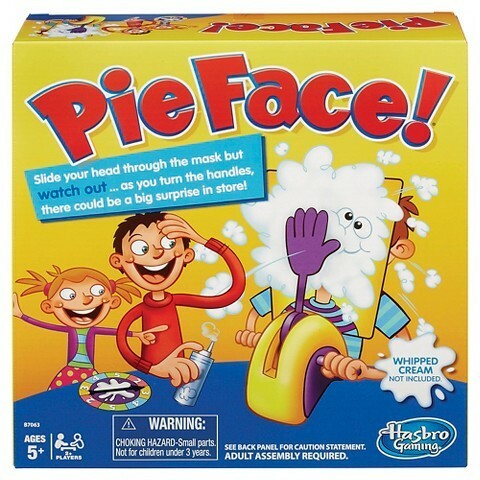 That pie face game looks like so much fun! My little niece LOVES Lucky Ducks! I'll have to look for some of the others to play with her! My kids LOVE Pie Face. I still haven't tried it. Haha! Thanks for sharing your favorites. Lily plays quite a few of those at the library so I may have to add some to our collection!